Alliance City Schools have worked to significantly reduce the number of school supplies needed in each classroom. That means teachers and students will have less of a burden in purchasing school supplies. Supplies can still be a challenge for some families. Below is a story about one of the local resources where students can receive free supplies. 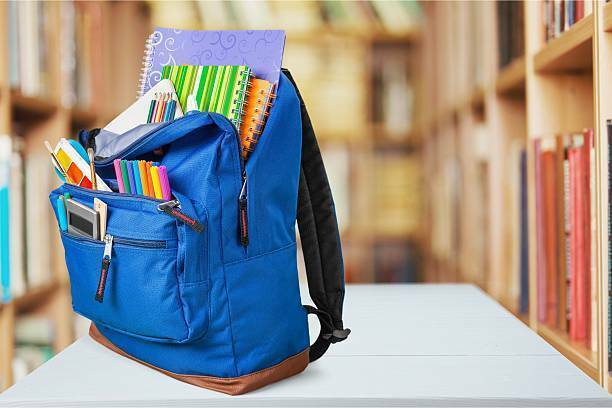 Children in Alliance will be better prepared to start the school year out right with the help of churches and community members at the 11th annual school supply giveaway at Alliance Friends Church on August 4. The giveaway was started 11 years ago as a way to help families get backpacks and school supplies for students before they start of the school year. It has continued and grown each year and now serves an average of 1,200 each year from Alliance and the surrounding area. All supplies are free and families can pick up their child’s school supply list and then “shop” for their items at the church. It takes over 100 volunteers to pull off the event. Elizabeth Penird who coordinates the event is one of those volunteers. “Our main goal is to make sure the kids are prepared for school before the year starts. This is my favorite day of the whole year. It’s a lot of work but it’s worth it,” she said. Many of the Alliance school administrators attend the event to greet their soon-to-be students. Michelle Balderson, Rockhill Elementary principal, said the supply giveaway is one of her favorite days of the year as well. “Families are so happy that their children are given the resources to prepare them for their classroom lessons. Students are proud of their new supplies and regardless of family income ALL students have the resources they need,” she said. Each student is allowed to choose their own brand new backpack from a pile of hundreds donated. Balderson said that’s a highlight for many of the children who attend. “I enjoy seeing students and their families with smiles on their faces and bright eyes looking through backpacks to find the "perfect one" and then stuffing the backpacks with supplies,” she said. Families do not need to register to participate. School supply lists for each child will be provided at the church. Free lunch and activities will also take place outside the church. The event starts at 10 a.m. and will last until 2 p.m. on August 4. People will line up outside the church and be let in a few at a time to get their general supplies. Penird said anyone who feels they need the supplies, from preschool to college, is welcome to attend. “If you feel like you need it and are willing to stand in line to get it you can come,” she said. Alliance Friends Church is located at 1307 W. State Street.